An ordinary orphaned teenager turns out to be the saviour of a hidden magical world. 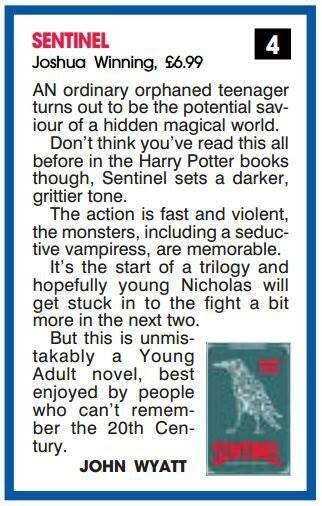 Don’t think you’ve read this before in the Harry Potter books though, Sentinel sets a darker, grittier tone. The action is fast and violent, the monsters, including a seductive vampiress, are memorable. It’s the start of a trilogy and hopefully young Nicholas will get stuck into the fight a bit more in the next two.